Two's Company, Three's a Crowd...Who in the Church is the Odd Man Out? ​I am not going to lie. My soul was grieved this past weekend. We have hype around Christmas and hype around the Super Bowl-that-is-Easter in the Church. We elevated mothers just a couple short weeks ago and in some churches, the entire message was devoted to mothers. However, this weekend a huge event took place a little over two thousand years ago and this event was not even recognized…not mentioned in my church. Sadly, I am quite certain this happened in many churches around the world. There was no “Happy” or “Merry” Pentecost greeting at the door. There were not any big productions that celebrated and explained this special gift from God. Nothing. We paid honor and tribute to our fallen soldiers (as we should), but failed to pay honor to the Third Person of the Trinity. My heart still has not fully recovered. ​Why is it that two’s company, but three’s a crowd…even in the Church? Why do we love to speak about God and Jesus in most churches across America, but when it comes to the Holy Spirit, we all sometimes look like a deer in a headlight because we are not sure what the other person’s whole stance is on the Holy Spirit? We can get people to grasp Jesus, but for some reason, the Holy Spirit continues to divide the Church like crazy. It has got to stop. Let’s be clear. 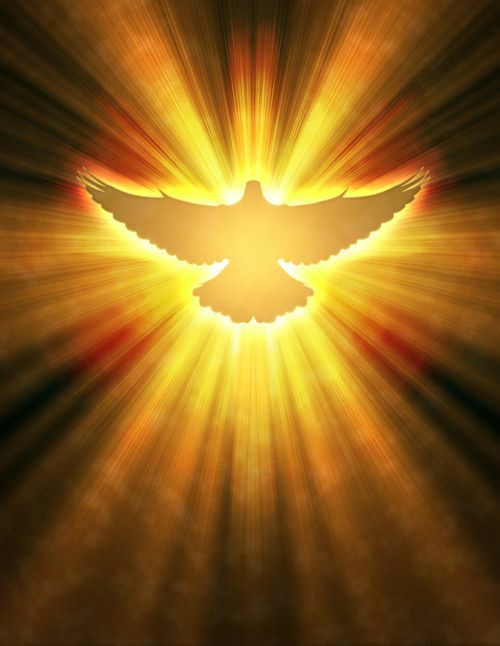 The Holy Spirit is the Third Person of the Trinity. God sent Jesus. Jesus said He had to leave and He would send someone even better. The Holy Spirit came as Jesus said He would. A lot of churches stutter at this point. They acknowledge what took place on the Day of Pentecost in Acts 2, but they leave the story right there in the days of the disciples and apostles. We say “Holy Spirit you are welcome here, come flood this place and fill the atmosphere,” but what if He showed up in your space like He did on the Day of Pentecost? What would most non-Pentecostal churches do if something like that were to happen? Would their eyes and hearts even be open to witnessing the powerful movement of the Holy Spirit? 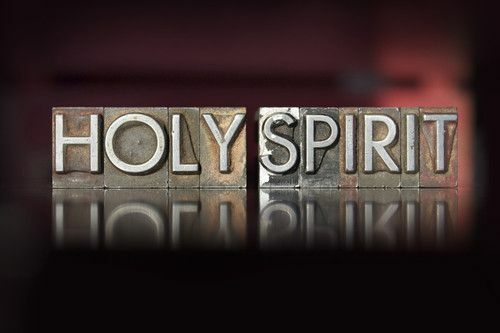 Theologically, some churches and denominations differ on whether a person receives the Holy Spirit at the moment of salvation or whether there is a subsequent baptism of the Holy Spirit. To preface, I want to say that I am so happy I was completely naïve when it came to the “sinner’s prayer” and the “baptism of the Holy Spirit” when I finally surrendered my life to Christ. I did not grow up in a denomination that mentioned either of these two things so I am thankful that no one could say I had been brainwashed in theology all my life. In all actuality, I prayed the “sinner’s prayer” and no doubt, my name was engraved in the Book of Life immediately at that moment “by grace through faith” (Ephesians 2:8). I had spent some hours with some of “those Christians”…you know the kind that are so in love with Jesus, can not stop talking about Jesus and well, are just plain different from the world. I prayed the sinner’s prayer because clearly, Jesus was calling me to finally lay it all down. A few hours after I prayed the prayer, I went to bed. However, my heart was not content with just the sinner’s prayer. I wanted more. There was still something that I could not quite put my finger on that I wanted – that my heart was craving. As I lay in bed that night next to my husband, I had a silent conversation with God. I wanted it all…whatever “it” was that He wanted to give me, I wanted it all. I was completely done doing life on my own and I needed Him. I needed peace. I pleaded and begged for something I knew nothing of, but sensed “it” existed (I had seen “it” in my new friends). I did not stop until I received what He wanted to give me. A sensation went down my body that I still to this day feel in moments when I know the Holy Spirit is present and working. It was electric and completely full of power from above. As that feeling overwhelmed me that night, I remember standing up shortly after this experience and walking back and forth. My husband woke and asked me what in the world I was doing. It was the strangest thing and I did not speak about it to anyone. I knew something had happened, but had no idea what that something was. My life from that moment was completely changed. It was a few years before I received confirmation of what that something was. While I was in seminary, I had to read an autobiography for a particular class. I chose the great evangelist, Charles G. Finney’s autobiography. As I read his salvation experience and his baptism of the Holy Spirit experience, I stopped silent in my tracks. I knew what I had experienced that night a few years prior had been something supernatural and God sent his confirmation to me through the testimony of a man who lived one hundred and eighty years before me. His ways are so much higher than our ways! Now let’s get back to when the Holy Spirit comes upon someone. Some say that it happens at salvation, but that just cannot be the case. Jesus’ disciples were saved before Pentecost. They believed Jesus was the Savior. Jesus had to leave in order for the Holy Spirit to come and Jesus told them at His ascension they had to wait for the Holy Spirit (Acts 1:8). This is where we know that the salvation simply affords us the opportunity to access the Holy Spirit. On the Day of Pentecost in Acts 2, they were gathered meeting when the Holy Spirit came from Heaven. Everyone in that room was filled with the Holy Spirit at that moment. However, believers outside of that room were not. How do we know? Similarly, in Acts 19:1-7, Paul had a similar experience in Ephesus. How can we in the year 2015 receive the Holy Spirit at the moment of salvation when these believers in the immediate days and years after the Holy Spirit was given as a gift from God could not? I believe this is important because we have a lot of saved sinners (hallelujah) living lukewarm lives because the fire of the Holy Spirit has not heated them. Their salvation is secure, but they are living without the power of the Holy Spirit through and through. Can you imagine how different the ministry of the first disciples would have been without the Holy Spirit’s power? Prior to Pentecost, these disciples were scared, uncertain, and doubtful, yet after that moment at Pentecost, they were literally “on fire” for the Lord unto death. Our churches today sit without power because we have hushed the Holy Spirit out. We don’t even acknowledge Him on His “birthday” – the day He entered this world for our good and for His glory. May we repent for that today. Jesus said in the second part of Luke 11:13, “How much more will your Father in heaven give the Holy Spirit to those who ask him!” The Greek word aiteō means, “to ask, beg, call for, crave, desire, require.” Have you only sought salvation, but not asked for the Holy Spirit? Jesus said we had to only have faith for salvation, but we must ask for the Holy Spirit. Search your heart. His gifts are good and His gift for us in this world to combat the spiritual world is the Holy Spirit. Make sure you have asked for and possess this power source. It is life changing!